There was also a Matdog at Brawl in Menomonee Falls today. Cael Lynch had some tough competition in the Falls and came up 4th. Another Matdog competed in Mishcot over the weekend on Saturday. Congrats to Cora Stewart for taking 1st! 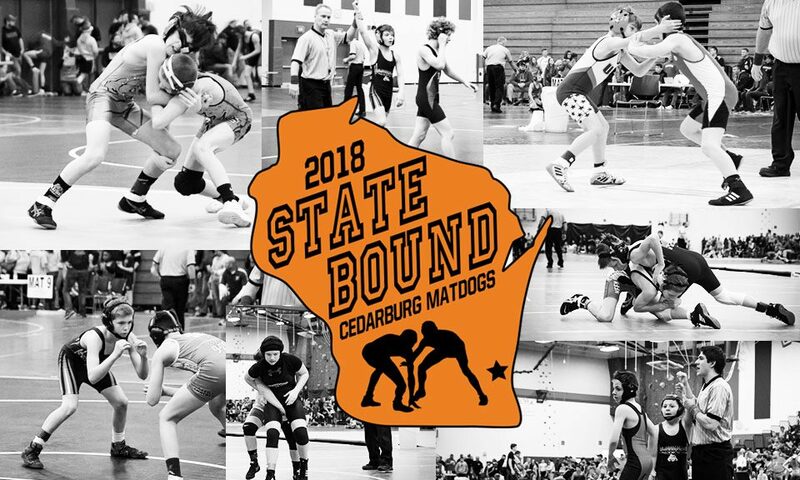 Great job to all the Matdogs! 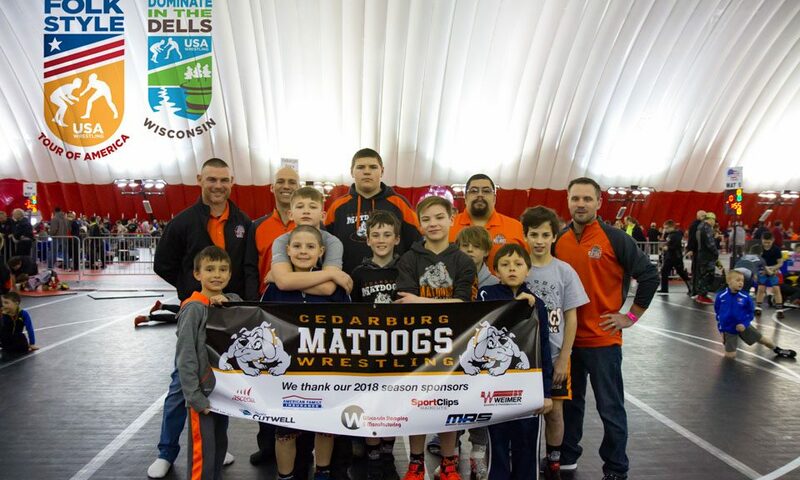 Lots of Matdogs were at the Hartford Tournament on Sunday 1/13/19. There were Matdogs competing at three different qualifier sites on Sat. March 17th. Congrats to our State Qualifiers Louis Roller, Alissa Ziegelbauer, Zach Moss and Devin Johnson. Kaitlyn DeLaCruz is an alternate. Louis turned in an outstanding performance wrestling all the way back to second in a very tough bracket. He was truly a man on a mission yesterday. Zach also had to wrestle back to second. Eighth grader Alyssa gets to extend her Matdogs career one more week. There was a lot of heart break yesterday as well. The team worked extremely hard all year and nobody wanted their season to end. Congrats to Michael, Jonah, Nevan, Keegan, Declan, William, Bailey, Cole, Wyatt, Owen B., Ollie, Owen M., Hunter and Aaron for competing in a State Qualifier. Nothing is given in this sport though. If you gave it your best effort out there you have nothing to hang your head about. Learn from the experience and become stronger from it. 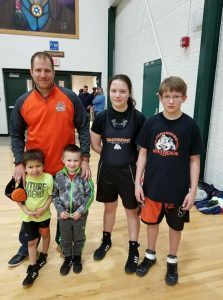 We had wrestlers from 2nd grade through senior in high school competing under the Matdogs this weekend at the Dominate in the Dells Tournament. 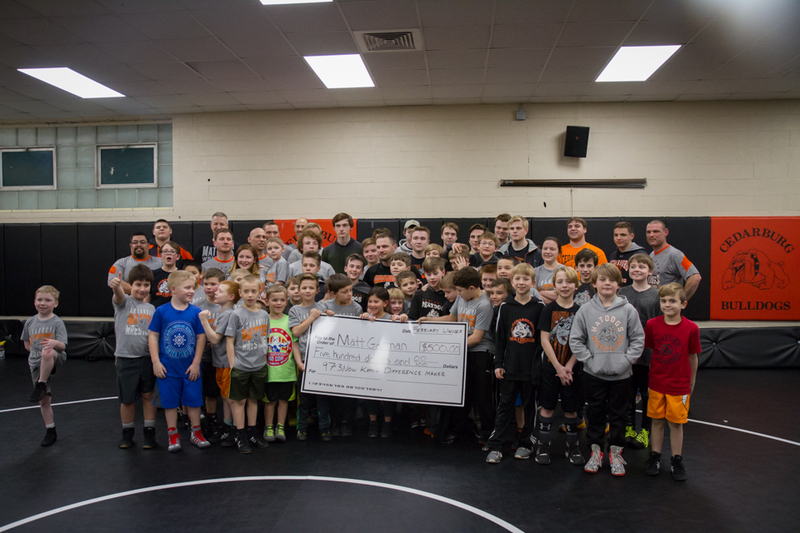 This is a national level tournament with over 1,100 wrestlers from all over the US. We had some good hard wrestling out of our guys against tough competition. Leading the way for our younger guys was Louis Roller who had an impressive 6th place finish to put him on the medal stand. For the high schoolers Bryce Jankowski was absolutely dominating taking home the championship in the Cadet 126 pound division. Bryce pinned every one of his opponents including a first round pin in the finals. The Matdogs were at the Nicolet Jr. Knights Tournament on Sunday 3/4/18. This was the last regular team tournament of the season. They took home the 1st place Team Champion trophy. Great job everyone! 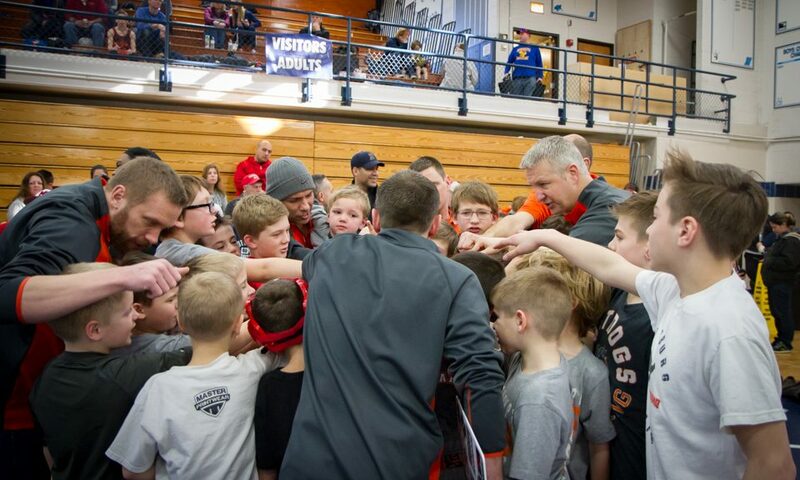 There was a small group that wrestled at Kewaskum Saturday, March 3. Adam took 1st. Elijah, Alissa and Hunter took 3rd. 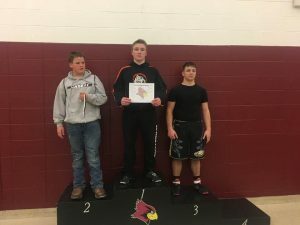 Also wrestling Saturday was Aaron Pokel in De Pere, where he took 1st. Great job, everyone! Thanks to all who answered Coach Steve’s request to nominate Coach Gartman for the 97-3 NOW Kapco Difference Maker Award. 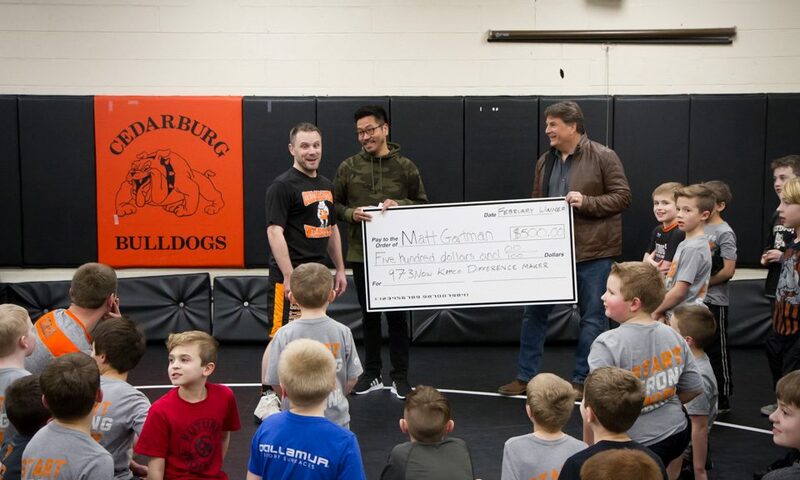 The Rahny Taylor Morning Show and Jim Kacmarcik from Kapco presented (ambush-style) Coach Gartman with a check for $500 for being someone who makes a difference in our community.